Back at the beginning of 2013 I covered a story here about the New Year’s Eve vandalism and release of a pack of captive wolves from the Haliburton Forest Preserve Wolf Centre in Haliburton Ontario. As you might recall, the tragic crime caused the immediate death of two wolves, the presumed death of two others, and the orphaning of two generations of pups. After losing the only two adults in the pack – Granite and Haida – the pack has still not fully recovered. 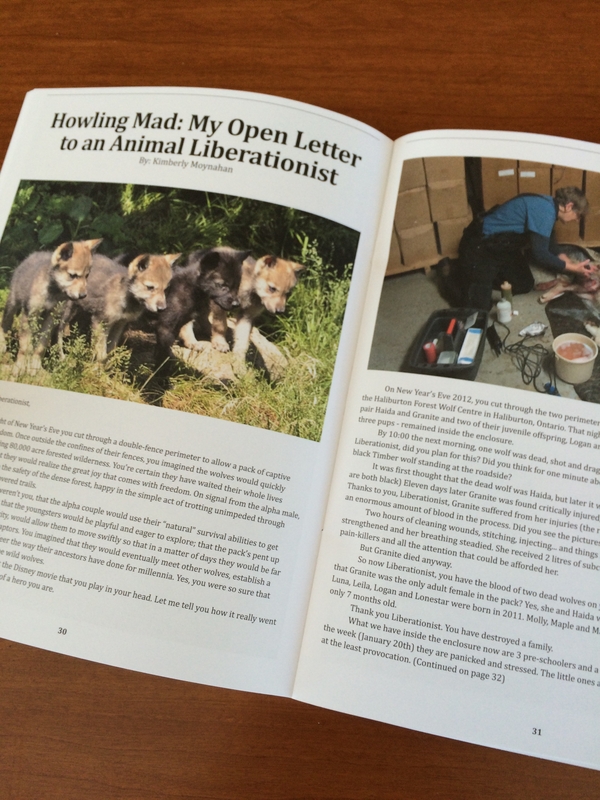 After my response to that crime appeared on my blog, Peter Schleifenbaum, director of the Wolf Centre contacted me to ask permission to run my piece in their annual WOLVES Magazine. Today, after a long publication delay, I can finally say my piece has been published! It appears in a just-released special 2014 & 2015 double edition of WOLVES. 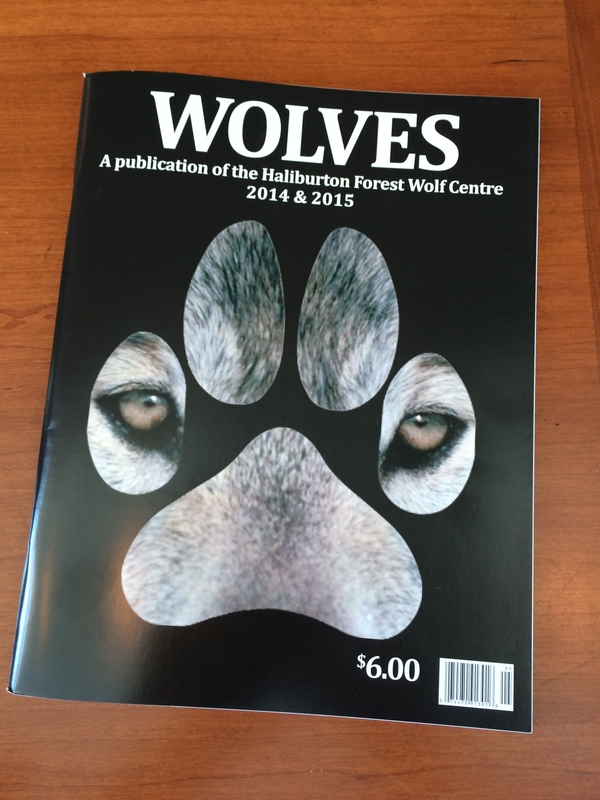 Edited by Minna and Peter Schleifenbaum, the magazine is primarily dedicated to the 2013 break-in and the wolves who lost their lives and includes an introduction to the new Haliburton pack, headed by Luna, one of the now-grown pups and Fang, a new male who was acquired to replace Haida. The magazine is packed with stories and articles on wolves, wolf ecology, news, children’s activities, and tributes to the lost wolves. The collection includes reprints of stories and articles by Canadian natural wildlife artist, David Alexander Risk; environmental writer Emma Marris; Haliburton Forest biologist, Ray Martin; science journalist, John Bohannon; president of the Wolf Recovery Foundation, Dr. Ralph Maughan; and Vogue editor and fashion journalist, Suzy Menkes. I’m extremely pleased and honoured to have my piece appear in such esteemed company. I don’t see a way to order the magazine on the Haliburton website, but I have three extra copies here. I’d be happy to send them free to the first 3 people (in Canada or the US) who request one. Email me (kimberlymoynahan AT gmail.com ) or put a note in the comments. PreviousSweetfern Update: Red Tape Cleared, Now Up She Goes!